BackStaff allows to quickly extract information from PLCs on the production site to keep the management aware of critical variables. This information shortens reaction time upon abnormalities and enables the management staff to improve its knowledge of the operation. PLC (Programmable Logic Controller) is a specialized computer used to monitor and control hardware within the factories. These devices were developed in the late 60s and early 70s of the 20th century, and are now used almost in every machine or process in the whole world. PLCs have a very evident difference with a standard computer, and it is that by default they do not include any screen to show its current status or any information about the process or machine under control. However, every PLC includes a way of communication. The current models include a network adapter for LANs. Simpler or older models have serial adapters that you connect to LANs through gateways. 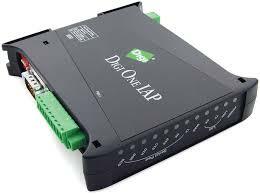 Once connected to a LAN the PLC can share its data by the use of protocols like Modbus TCP, AB CIP, or PROFINET. BackStaff uses an OPC server to translate the information of these protocols into its internal language. 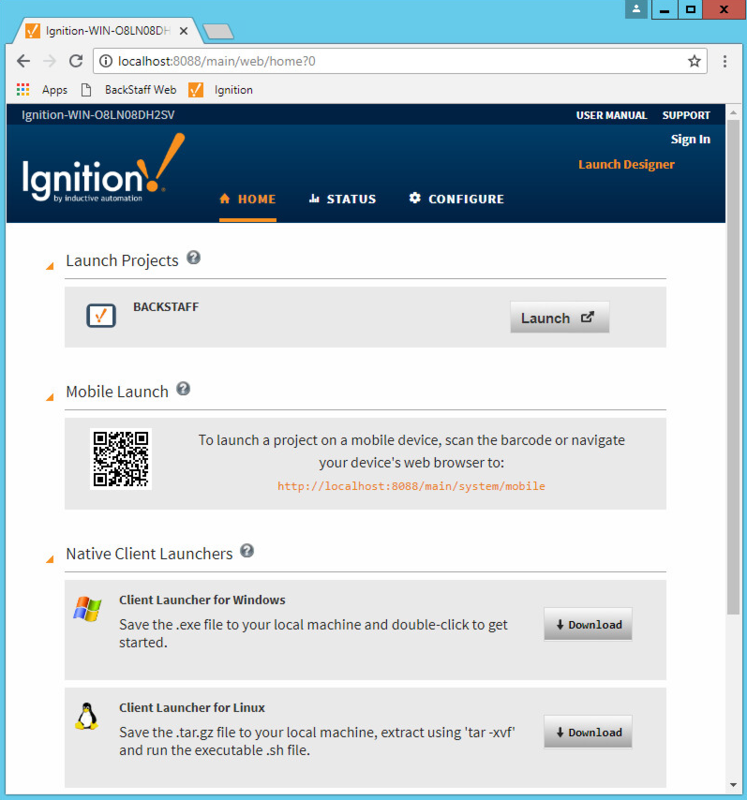 BackStaff uses Inductive Automation’s Ignition software as its platform, then the steps to do the OPC configuration are the following. Configure the OPC server of your choice to communicate with the PLC or PLCs where the information of interest is located. The most direct way is to use OPC UA. Nonetheless, it is possible to use OPC DA as well. In this procedure, we explain the configuration for OPC UA. An example on how to do the configuration for an Allen-Bradley device is here. Then you browse the tags of your OPC item according to this video and create the variables you need. Afterward, you go into “Configurations” and select “Indicators”, and press on “New Indicator”. Now you select the “Source of data” as “Tag” and press on the “Tag” button. This action opens a pop-up window that permits you to navigate on the tags list and select the one of your interest. You configure the rest of the parameters according to your convenience and press on “Create”. You follow this process for every PLC register or tag you want to add into BackStaff’s configuration. Once you have the variables in BackStaff, you go to your favorite client and create a scorecard for all the variables of your interest. 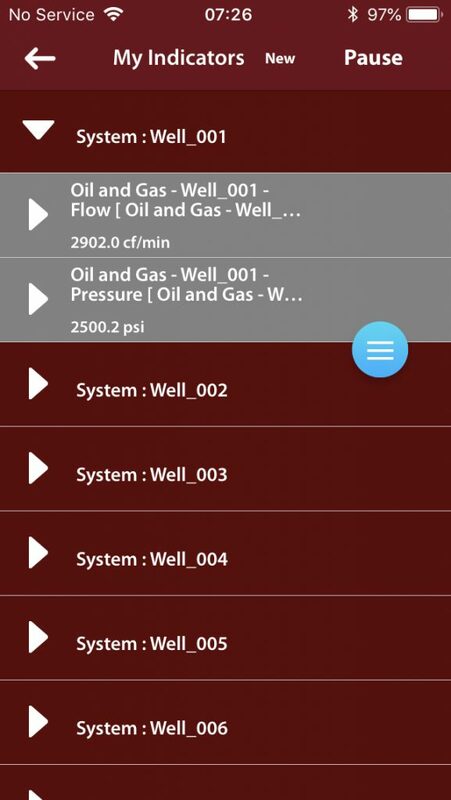 BackStaff is a tool that allows you to extract data from PLC and access it from mobile phones easily. 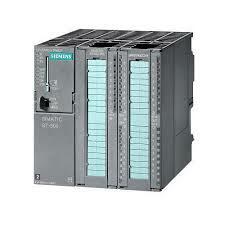 You can configure as many PLCs as you want, as well as all the variables you need.